Mel Leiderman graduated from the University of Windsor in 1973 with a Bachelor of Arts Degree. After completing his undergraduate studies, Mel joined the accounting firm of Clarkson, Gordon (now Ernst & Young) in London, Ontario and obtained his CA designation while at that firm in 1977. He was elected a Fellow of the Institute of Chartered Accountants of Ontario in 2013. In 1978 he joined Lipton LLP and has been instrumental in the continuing growth of the firm. The firm has been in existence since 1976 but dates back to 1959 when the two founding partners started public practice together. Since then the firm has grown to 10 partners and a total complement of over 60 people. Mel acts as a senior consultant and advisor to the firm and its clients. He has over 30 years experience specializing in advisory services, mergers and acquisitions, financing, tax, estate and strategic planning for corporations and individuals. He constantly seeks to add value with his hands-on approach in such areas as tax matters, succession planning, organizational and strategic planning issues. Mel has completed the C.I.C.A. In-Depth Tax Course, the Alternative Dispute Resolution Course sponsored by the Faculty of Law - University of Windsor, and the Directors Education Program sponsored by the ICD and the Rotman School of Management, University of Toronto and obtained his director certification from the ICD. He serves on the Board of Directors and Audit Committee of Agnico Eagle Mines Limited, a company listed on the TSX and NYSE and serves on the Board of Trustees and is chairman of the Audit Committee of Morguard North American Residential REIT which is listed on the TSX. He is also on the Board of Directors of Emily's House, a not. for-profit hospice facility for children. 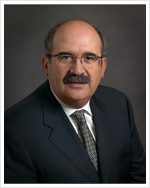 He is a former member of the North York General Hospital Foundation Professional Advisory Committee, the Accounting Standards Board (CICA) Private Enterprises Advisory Committee and the Discipline Committee and Professional Conduct Committee of CPA Ontario.